Though Trump attended the New York Military Academy, he was sent there to learn some discipline, he had no plans for a military career. 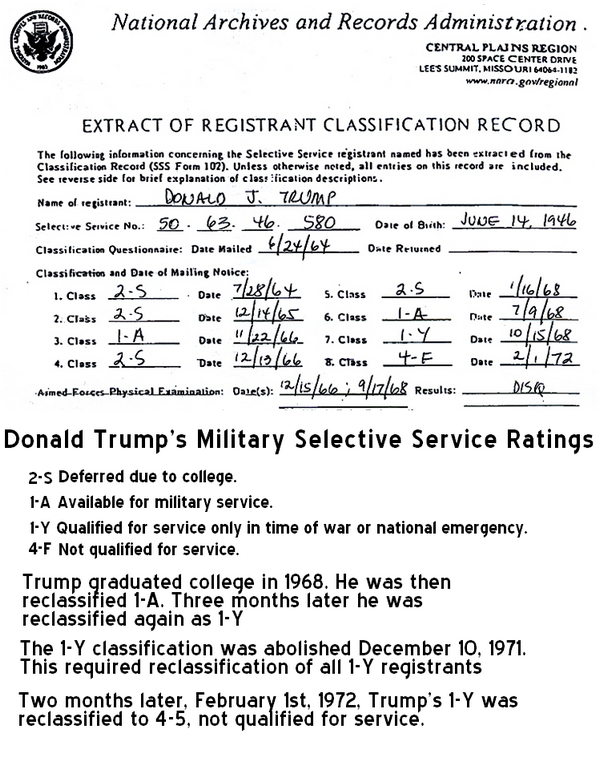 Trump graduated from the academy in 1964 and, when he turned 18 in June, he registered with the draft board. Since he had plans to go to Fordham University that year he was given a 2-S deferment. According to Trump, after two years at Fordham he transferred to Wharton. But looking at his draft deferments, this is questionable. He was at Fordham in 1964, 1965, and 1966, but in November of 1966 he was reclassified as 1-A, fit for duty. Less than a month later, Donald was reclassified back to 2-S.
One would think by November of 1966 Donald would have been attending Wharton already. If that were true, he would not have been classified 1-A. It makes one wonder if Trump's transfer to Wharton was inspired by the prospect of being sent to Viet Nam. Trump was still classified 2-S in January of 1968 because he didn't graduate from Wharton until May. After graduation, in July, the draft board upgraded Trump to 1-A once again. Curiously, 2 months later, in September, he had a physical and was reclassified in October to a 1-Y. This classification meant he was qualified for duty only in times of war or national emergency. If that sounds odd during the Viet Nam conflict, remember that the war in Viet Nam was never officially declared. Trump remained a civilian on a technicality. That 1-Y status lasted until 1971 when 1-Y was abolished as a classification so Trump had to be reclassified once again. 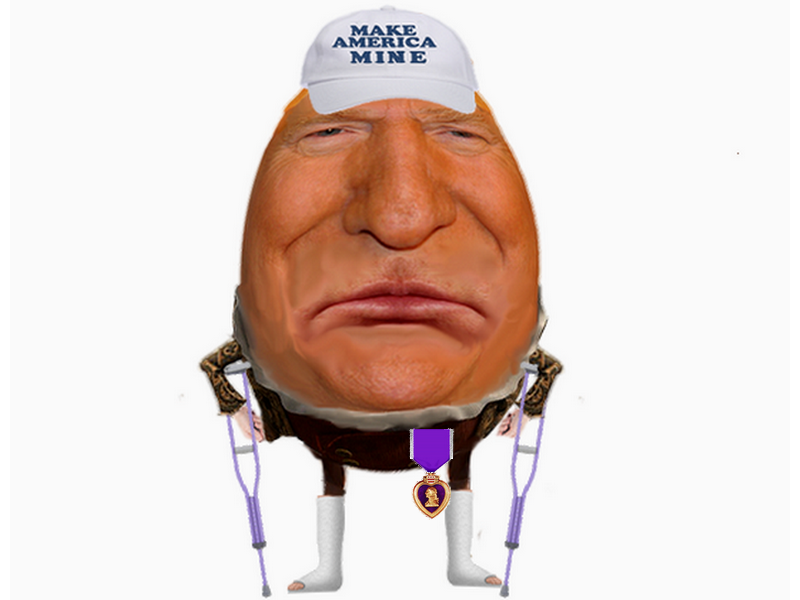 Three months later he managed to be classified 4-F, meaning not fit for duty, because of bone spurs on his heels. The magic power of money at work once again.